Home » Concepts » New VW Concept Vehicle! The Volkswagen Atlas Cross Sport Concept has been revealed to the public, and it has a lot in store. Although this is a concept vehicle, there are details about this vehicle’s specifications that would come standard if this concept becomes a real vehicle in the future. 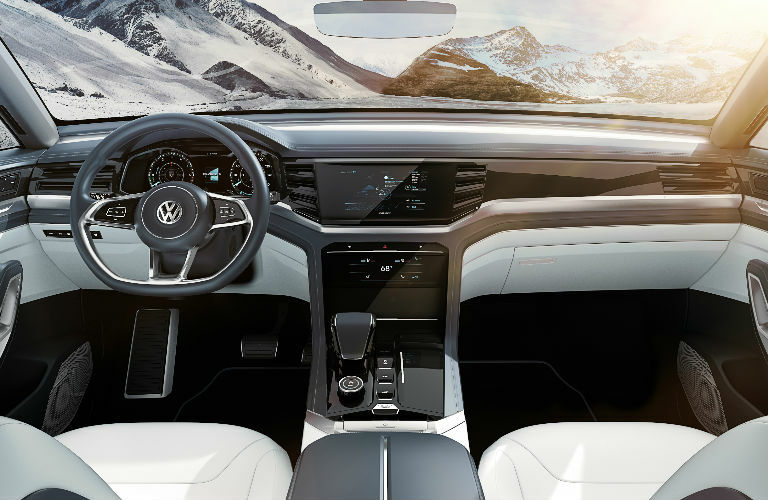 The Volkswagen Atlas Cross Sport Concept specs and features will help you visualize what this vehicle may look like and what it could do for drivers. 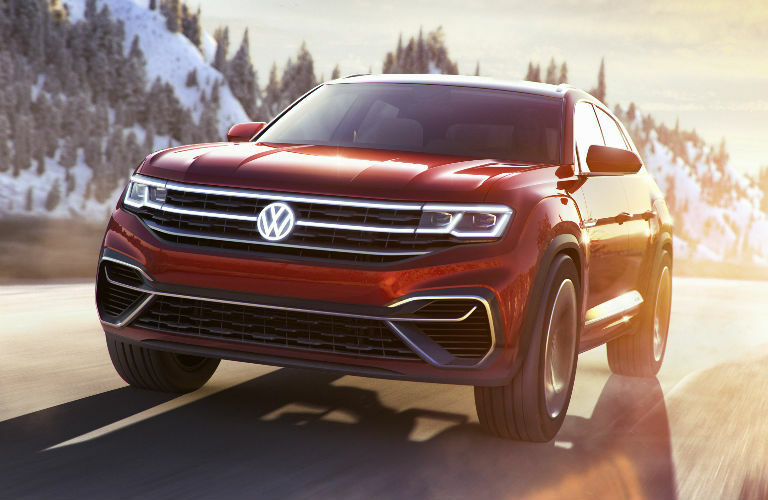 The Volkswagen Atlas Cross Sport Concept has a 3.6-liter V6 FSI® engine that delivers 276 horsepower and 266 pound-feet of torque. The Cross Sport Concept also has two electric motors. The front and rear motor deliver 54 horsepower and 114 horsepower respectively. This gives the concept vehicle hybrid power for lower emissions and a better fuel efficiency. This concept vehicle has LED headlights and LED Daytime Running Lights (DRLs) to give drivers better visibility despite the driving conditions. The Atlas Cross Sport Concept has 4MOTION® Active Control that allows you to choose between ‘On-road,’ ‘Off-road,’ ‘Sport’ and ‘Snow’ driving options. The different driving choices help you adapt to the road for a safer drive. After looking at the Volkswagen Atlas Cross Sport specs and features, you can see that this vehicle will be very interesting if it comes to dealerships across the country. We hope we helped you find everything you were looking for. Keep your eye out for this vehicle and learn more about it if it comes out. If you would like to learn more about the Volkswagen Atlas or any of our other Volkswagen models, you can check out our online inventory to see what we have available and schedule a test drive with us at Speedcraft Volkswagen today. Volkswagen Reveals Another Cool Concept Vehicle that the 2017 Shanghai Auto Show! This entry was posted on Tuesday, April 10th, 2018 at 3:24 PM	and is filed under Concepts. You can follow any responses to this entry through the RSS 2.0 feed. You can leave a response, or trackback from your own site.